Note: This is not the official installment of Vermin Vibes font! 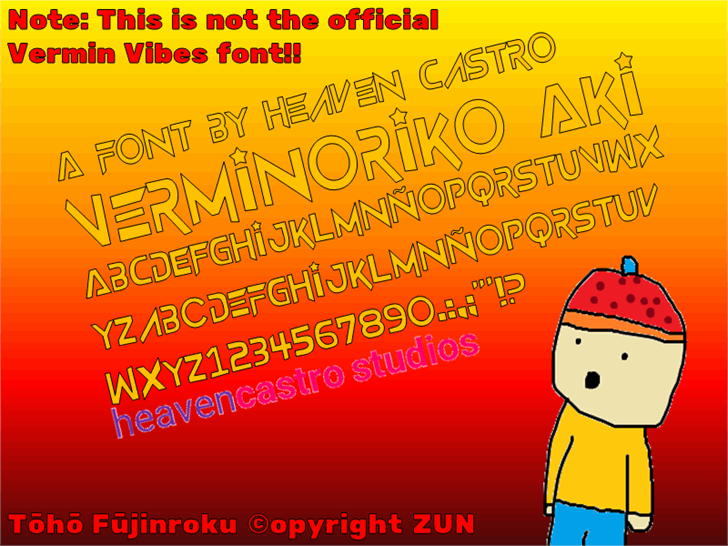 Verminoriko Aki is a kiddie techno font. It has traces of autumn days. Copyright (c) 2018, Andrew McCluskey, Jun'ya Ota, and Heaven Castro Studios.